Scientific facts that support the optimistic viewpoints held by the majority of medical cannabis advocates. 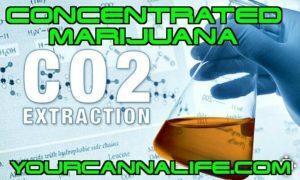 YourCannaLife is Marijuana / Cannabis Consultant Service. If you’re considering entering the Marijuana / Cannabis industry feel free to contact us. We assist your business venture from start to finish. If you would like to interact with us on social media you’re more than welcome to join our Facebook group. Share and leave your comments down below. We’ve been looking for it for centuries: a magic elixir that will give you eternal youth. Unfortunately, that potion does not exist. But, we do have a few other tricks up our sleeves. Cannabis is one of them. Turns out, the simple herb can have quite an impact on the day-to-day stresses that contribute to aging. This Better With Age segment is all about how cannabis protects against bodily stress. It’s obvious that aging is a natural part of life. Nothing on earth lives forever. But, what causes people to age? It all has to do with your DNA. Every day, your body has to make new cells to replace older ones before they become dysfunctional. So, when your cells reach the right point in their life cycle, they begin to replicate and divide to create new cells. Every time a cell divides to create a new cell, it has to transfer over all of its vital genetic information. This information is stored as deoxyribonucleic acid (DNA). Your cells face the complex job of making an exact copy of your DNA every time a new cell is created. In a given day, your body does this about two trillion times. Unfortunately, your cells can’t simply make a computer replication your DNA. As cells divide, they’re prone to making a certain amount of mistakes. These mistakes are amplified by various harms your DNA collects over your lifetime. For example, the sun’s UV rays are powerful enough to damage the DNA of your skin cells. If this damage is left unchecked, you go on to develop wrinkles, sun spots, and possibly even skin cancer. To combat this damage, your body has a few fail safes. When cells become too damaged, they self-destruct through processes known as programmed cell death. When you age, these fail safes become less reliable. Your body fails to clear and replace damaged cells. It also has less usable copies of DNA with which to replace these cells. This means that cells that are no longer functioning properly continue to divide and pass on harmful information. So, simply stated, aging happens when your DNA accumulates too much damage. Your body then can no longer get rid of this damage or replace it with undamaged DNA. Here’s where cannabis comes in. Things like diet, lifestyle, social stress, environmental toxins all change your DNA. These various forms of stress make it more likely that seemingly small but significant mutations occur in your cells and DNA. This increases your chances of having some trouble as you age. The more stress you are exposed to, the greater the risk of age-related diseases. So, how does cannabis help? Simple. The herb contains incredibly powerful antioxidants. In fact, cannabinoids are more powerful than vitamins E and C. Antioxidants protect your DNA from damage by neutralizing stress. Let’s look at environmental pollutants as a quick example. You breathe in potentially harmful molecules from the air every day. These compounds are known as free radicals. When these compounds enter your body, they can break and alter chemical bonds in your DNA. They do this by stealing electrons from the cells and DNA that need them. Electrons are vital particles that help maintain chemical bonds in the body. Drastically oversimplified, without stable bonds, your DNA loses some of the glue it needs to maintain its structure. It degenerates. Antioxidants prevent free radicals from taking your electrons, thereby halting damage to the cell and to your DNA. This means that your DNA accumulates less damage over time. With less damage, you age better and lower your risk of age-related disease. As mentioned earlier, another main component of aging is whether or not the body cleans out damaged cells. Cannabis helps with this process, too. Compounds in the herb mimic chemicals that our own bodies create naturally. In humans, these chemicals are called endocannabinoids. Endocannabinoids are like the body’s own cannabis. Endocannabinoids are part of a much larger endocannabinoid system (ECS). The ECS is a network of cell receptors and molecules that direct communication between cells. This communication pathway serves all kinds of functions, including the regulation of mood, metabolism, sleep, pain, immune function, and even cellular processes like cell death. 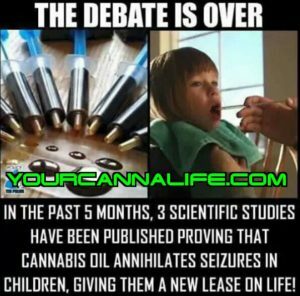 In 2003, Italian researchers found that our natural endocannabinoids give the signal when certain cells need to die. This process is known as apoptosis. Basically, apoptosis is cell suicide. When a cell becomes too damaged and is potentially harmful to the body, it begins to tear itself apart. These dysfunctional cells are then cleared out and can do no harm. Here’s where things get tricky. Some apoptosis is good, while too much apoptosis is bad. If your body starts to tell too many cells to kill themselves, chances are you probably won’t feel very well after a while. Yet, if your body doesn’t kill enough damaged cells, you’re also going to be in for a bad time. Apoptosis needs to be in perfect balance. Turns out, compounds in cannabis may help regulate cell death that’s gone awry. A 2012 study found that non-psychoactive CBD prevented excessive apoptosis in brain cells. Specifically, the cannabinoid halted the body’s attack on neurons associated with multiple sclerosis (MS). In MS, the body tells inflamed brain cells to self-destruct. Symptoms of the disease worsen as more and more of these cells die. Yet, additional research has found that cannabis also helps with the opposite problem. In cancer, for example, tumor cells stop dying. Cancer cells longer listen to the body’s signals that it’s time to die. Rather, they continue to grow and grow until they take over and become life-threatening. A 2011 review highlights a wealth of research showing that both psychoactive THC and CBD trigger cell death in tumor cells. Clinical trials in humans are yet to be completed, but cannabis successfully killed tumor cells in both laboratory and animal models. Simply explained, cannabinoids killed cancer cells by signaling them to kill themselves. Additional cannabis and cancer research found that THC caused brain tumor cells to commit suicide, but healthy cells remained unharmed. All of this evidence suggests that cannabis may help prevent age-related damage by making sure poorly functioning cells are properly destroyed. Further, if your body begins killing the wrong cells, cannabinoids seem to put an end to the fight. At least, this is true in animal and laboratory models. So, is cannabis the perfect anti-aging serum? It reduces stress from your daily environment, helps clean out dead and dying cells, and may keep your body from attacking itself prematurely. All of these factors drastically limit the overall effects of aging. But, there’s a catch. To fully reap the herb’s anti-aging benefits, you might want to steer clear of smoke. The reason why is simple. Researchers have yet to prove that cannabis smoke is seriously harmful, but smoke, in general, contains free radicals. We know that free radicals are damaging, so if you’re concerned about aging the best thing to do is minimize exposure to them as much as possible. With cannabis, there has yet to be any major health risks associated with long-term exposure to smoke. But, free radical damage from burning the herb shows up in the skin. In an interview with Huffington Post, New York dermatologist Dr. Bobby Buka explains that exposure to smoke can cause your skin to age more rapidly. This is thanks to an accumulation of damage caused by burning particles over time. “Even a bong would be preferable [to smoking]”. Hello, I have a 11yr old Grand Daughter who has symptoms very similar to Angleman however, no one will diagnose her so that we can get her proper treatment through the state. Long story short she has never spoke cannot take care of her own basic needs ie personal hygiene, feeding herself, dressing herself in other words she suffers from a form of severe retardation, she takes medication to control her seizure’s which on some days can be grand mal, who can we reach out to for help? I’ve been reading and seeing the wonders of oil and wonder if there is any help? She’s so beautiful, if we can elevate her quality of life even a Lil bit I would do anything. Thanks for reading my comment, questions. Her name is Kylie. We love her. Thanks for sharing your heartfelt life journey with us. I’d like to discuss what you have shared so far in more detail with you. Contact us at info@yourcannalife.com . I’ve been waiting for some correspondence from anyone! I can be reached anytime, at this eaddy, rdcook58@gmail.com. Thank you, Ron! I have grandmal seizures. All the meds they have gave me doesn’t work. It seems it lowers my my immune system when I take all the meds. I fill like a lab rat that they are using me as labrat. They have changed my meds so much. No meds work. I quit taking them. I keep having them on meds. I wish they would let me get this as my treatment.. Thanks for sharing your journey with us at YourCannaLife. The pharmaceutical industry have consistently developed medications that have so many unwanted & potentially dangerous side effects. These treatments,cause more harm than good and regularly lead to kidney and/or liver issues. Medical marijuana is the answer!